As far as spotting the healthiest and nutritious foods in the world, Thai foods hold a very special place in most people’s hearts. If you are still one of those who wonder just what makes this food special, then the best thing you can do is to give these foods a try. Aside from the impressive health benefits that these foods can offer, the method and manner of serving the dishes and foods make it more unique and amazing. Inclusion of spices, herbs and vegetables during the preparation of Thai foods also come along with a lot of health benefits. Thai food has constantly been rated among the best dishes in the world. This is because of the way that these dishes are prepared. It’s still a wonder how these dishes taste. This is one of the best things that make these foods very special. 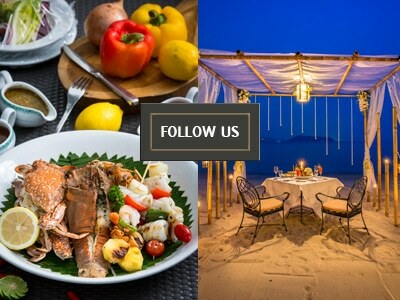 Most of the meals offered by Thai restaurant Phuket allow you to taste different varieties of flavor and taste. From the rice platters, noddle dishes, soup, curries, spring rolls and salad, you will love the twist of sweet flavor that these dishes can offer. Unlike all other types of exotic foods, Thai cuisine uses some of the best and healthiest ingredients. Although some people may think of some of the ingredients to be expensive, these still add flavor and taste to the whole recipe. You will find some of the ingredients of Thai cuisines on some of the grocery stores in Phuket. Thai foods usually come in different health option varieties. The use of different natural and healthy ingredients like spices, vegetables, fruits and more makes this meal extra special and more perfect for your taste. For instance, you can have Thai salad which is such a complete blend of spices, sweet fruits as well as lime. Thai soup is also an essential option to try to offer you the best health benefits you deserve to have. Unlike all other types of cuisines, Thai foods are among the best that you should not miss out trying when you visit Thailand. Your Thailand visit will never be complete if you will not spare some time to try some of the best foods they offer. When you already have tried tasting the foods, you will definitely be coming back for more.